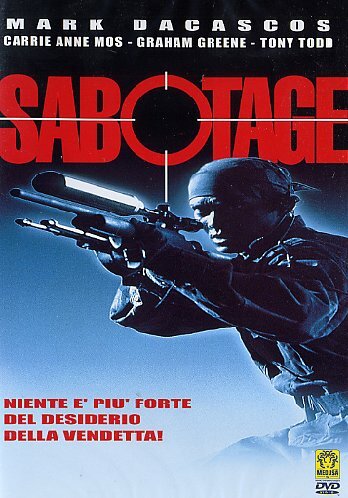 "The Dark Heart Of The Black Ops Beats To A Secret Agenda..."
Sabotage is a fantastic action movie. 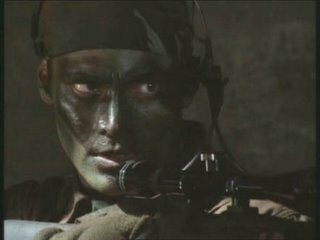 Michael Bishop (Dacascos) is an ex-army commando, who after almost getting killed, is asked to become a bodyguard for an arms dealer. 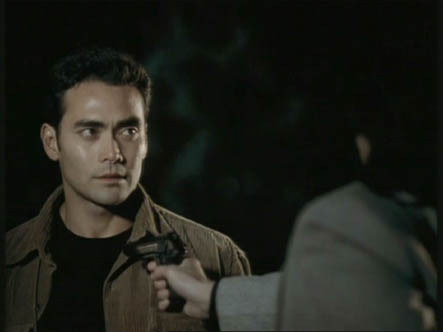 After a routine pick-up at the airport, the dealer is killed by Sherwood (Todd), an assassin for the government. Bishop is blamed and he's on the run. The plot description above doesn't do it justice. This movie is an action-packed thrill ride. This is one the first movies to use the "bullet time" effects. This was made three years before the The Matrix (1999). The whole cast does a great job. The standout is Tony Todd as Sherwood. He's so evil, you just want to kill him every time he's on screen. This is one of Dacascos' best movies. (Drive is another one of his Direct-To-Video classics). There is a lot of energy and thought put into the action sequences. The ice rink fight and the climax are just so cool. I need this movie on DVD! I can only agree , this is a great one, a friend got the vhs cover signed by Carrie Anne Moss, she was shocked that someone would come up with that, since we were at the Hamburg premiere of THE MATRIX,lol...great action flick..I too recommend it! Eric: Same here! Would love to see it on DVD. Hellford667: That is really cool your friend got it autographed and shocked Carrie-Anne Moss at the same time. Haha. This was a killer action flick.